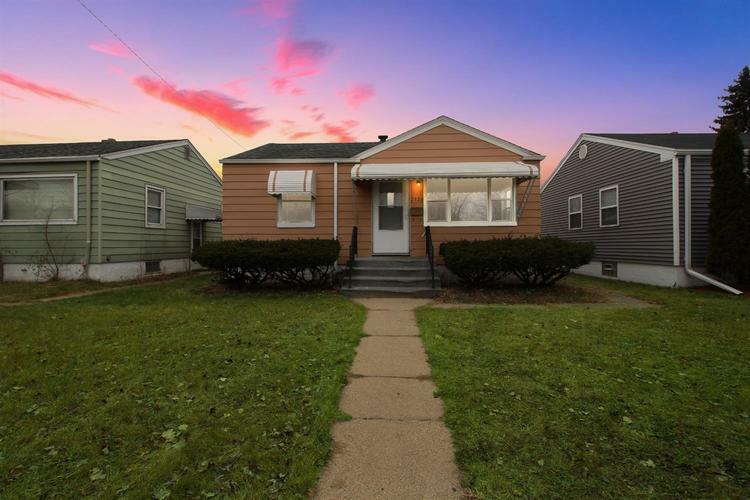 Move Right into this Charming 2 Bedroom Home in White Oak Manor! Enter into the Spacious Living Room with Large Picture Window. Updated Kitchen features Updated Cabinetry, Tile Floor, and Cozy Dining Nook. Main Floor has 2 Spacious Bedrooms and Updated bath with Full Tile Tub Surround. Hardwood Floors throughout the Main Level are Awaiting your Finishing Touches. Full Basement Offers Potential for Additional Living Space and Large Rec Room. Basement also features Separate Storage Area & Utility Room with Laundry, Newer Furnace and Water Heater. Fenced Back Yard and 2 Car Detached Garage. Many Updates have been completed including: Newer Roof, Newer Vinyl Windows, Newer Furnace, CA Serviced in 2018. Seller is Including Additional Lot Across the Street Currently Used as a Garden. Don't Miss Out on this One, Schedule Your Showing Today! Conveniently Located only 30 Minutes from Chicago and Close to Major Highways for an Easy Commute! Down Payment Assistance Available & College Bound! Directions:Columbia to 175th, East to Magnolia, South to Home on West Side of Street.